Relaxes and soothes both body and mind. It is deal for use after a long and stressful day. Warm, floral and gorgeous smelling green tea; blended with refreshing, antibacterial and anti-inflammatory eucalyptus oil. 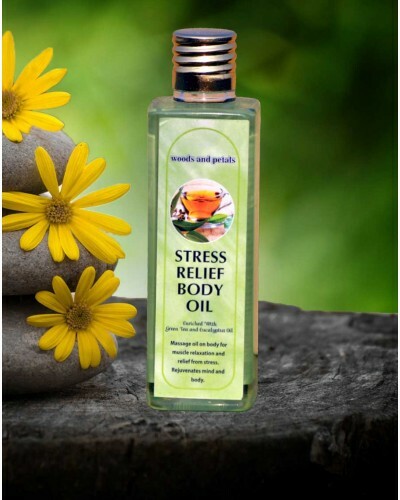 Is easily absorbed by the body, it is deal for use after a long and stressful day. It is an effective stress buster. Soothes and calms the senses. It brings tranquillity and peace within you. Smoothen your skin giving it a younger looking glow. Also helps in relieving congestion of the chest. Instils sense of wellbeing. Most effective when massaged on head, forehead, shoulder and back of the neck. Relieve sore and strained muscles bringing immediate relief.